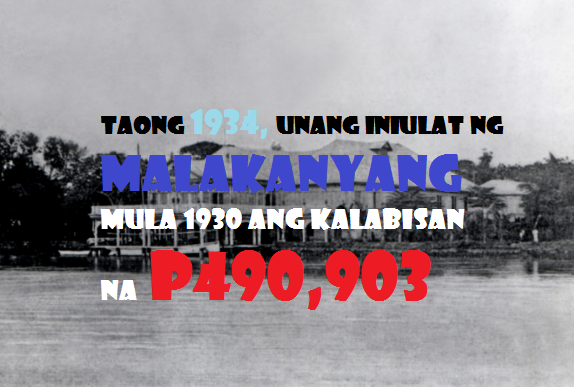 On this day of the year 1934, Malacanang reports surplus of P490,903, first since 1930. TRIVIA II: On the same day in the year 1942 Mayor Jorge Vargas surrenders Manila to Gen. Masaharu Homma. TRIVIA III: On this day of 1949, Central Bank was inaugurated to maintain the peso's stability, issue currency and regulate banking. The first governor of the bank is Hon. Miguel Cuaderno. 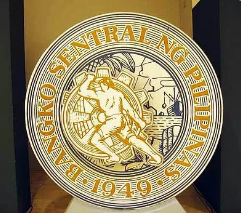 Sr.
Central Bank of the Philippines seal of 1949-1978.